Los Angeles prep school Harvard-Westlake closed both its campuses this afternoon after former NFL offensive lineman and Harvard-Westlake alum Jonathan Martin tagged the school in an Instagram post, in which he made threats against those he said bullied him. The photo included a gun and shells on a bed, along with the sentence, “When you’re a bully victim & a coward, your options are suicide, or revenge.” Martin was later taken into custody. 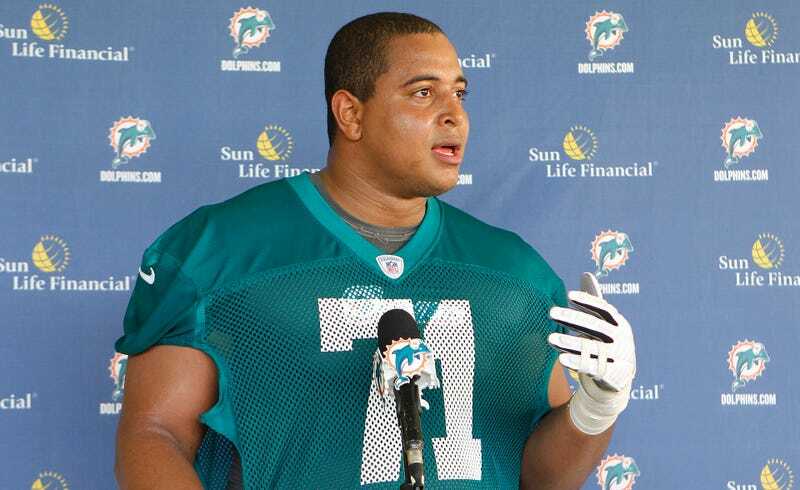 Martin was the target of Richie Incognito’s bullying and taunts during the Miami Dolphins’ 2013 season, and Incognito was one of those tagged in the post, along with Dolphins lineman Mike Pouncey. Martin said in 2015 that he once attempted suicide during his NFL career. If you or anyone you know is struggling with suicidal thoughts, the National Suicide Prevention Hotline can be reached 24 hours a day at 1-800-273-8255.